Happy Friday! I have a few things I want to share with you, so I think it’s time for Show & Tell! 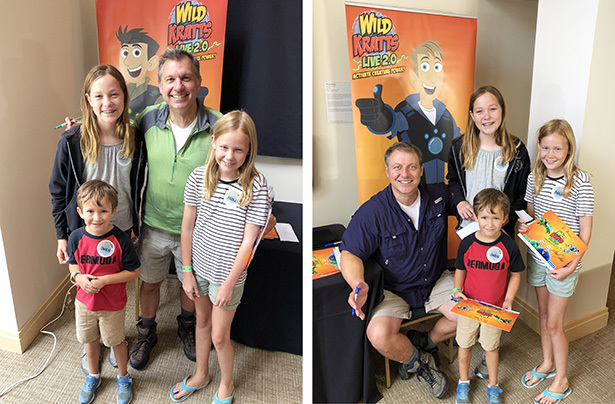 A few weeks ago we had the chance to take the kids to see the Wild Kratts Live 2.0 show, (big thank you to PBS Kids for the tickets). My kids love the Wild Kratts (even Cate who is pushing 14!). Nate and I kept the show a secret and surprised them the day we went. When we arrived we discovered we even had VIP tickets, which meant we had the chance to meet the Kratt brothers after the show. It was such a fun day! If you have kids that like Wild Kratts I definitely recommend the live show. The show itself was adorable and the sound of children’s laughter was non-stop. Owen (7) was completely engaged the entire time. Cate decided that watching all of the little ones in the audience was as much fun as the actual show. Meeting the Kratt brothers was awesome. Chris and Martin have boundless energy and are so kind, speaking to each child individually and really taking their time with all the kids. We walked away from the experience in a great mood, with positive feelings and happy hearts. Click here to check out the tour dates and locations! In my ongoing effort to make the food I buy more environmentally friendly, I recently started ordering from Imperfect Produce. In terms of environmental impact, the very best thing we can do is buy local. After that, buying food that would otherwise go to waste is pretty awesome, too. 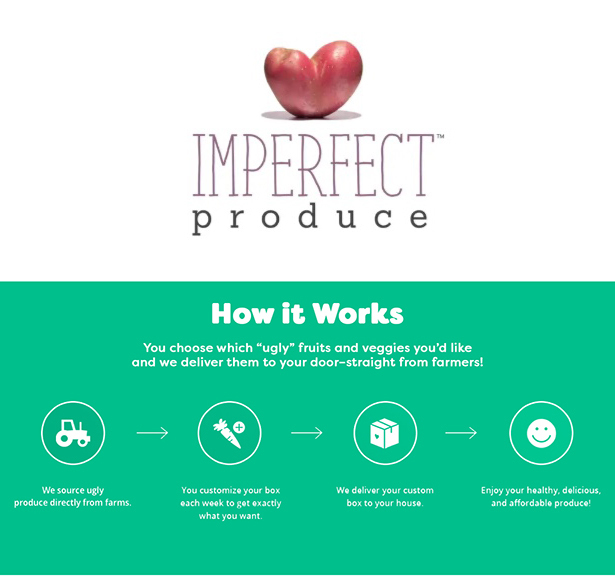 Imperfect Produce sources “ugly” and surplus produce from farmers and producers and then sells it at a discount to customers. The box of produce is delivered to your house each week. I love their mission since wasted food is something I think about all the time. I am absolutely loving Imperfect Produce. There is minimal packaging and all of the produce we have received has been awesome and delicious. Each week an email arrives reminding me to customize my box. You can choose from whatever they have in stock that week and there is both conventional and organic produce. In addition, it tells you were each item is grown. The website is so easy to use and my new system works great: I keep a list on my phone that tells me what will be coming each Friday from Imperfect Produce so that when I go shopping at the farmer’s market and grocery store each week I don’t overbuy anything. Remember my new favorite deodorant? I’ve been using Native for over a year now and still love it. In fact, I’m kind of addicted and have never had such a large stash of deodorant before. Their scents are just so great! Anyway, Target started carrying Native. Woohoo! Keep an eye out next time you visit Target! A few months ago I sang the praises of Oatly oat milk. Since then Oatly has become nearly impossible to buy because it’s just so darn popular (with good reason!). They had a day a few weeks ago where you could buy one case on their website. It felt like buying tickets to a concert – I had to set a reminder on my phone and it sold out within 20 minutes (I succeeding in getting a case!). I have confirmed with the Oatly team that they are building a factory here in the United States that will be opening in early 2019, which means pretty soon it will be much easier to get Oatly. I CAN’T WAIT. Good work, people. Keep the demand up! We want Oatly everywhere! That’s all I got! Have a great weekend! Hello, friends. I have a veritable grab bag of things to share with you today, including a recipe, deodorant, Netflix and car talk. Yes, totally random. But also fun! 😉 Let’s start with the food! 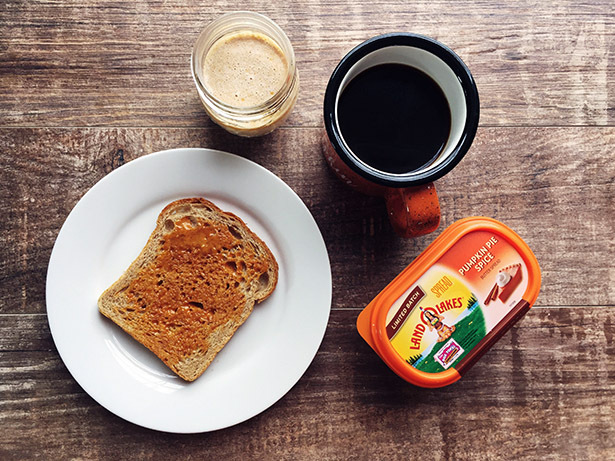 Last week LAND O LAKES treated me to a surprise package, complete with a shiny new Chemex coffee maker and everything I needed to make Pumpkin Spice Coffee Creamer using their Limited Batch Pumpkin Spice Butter Spread. 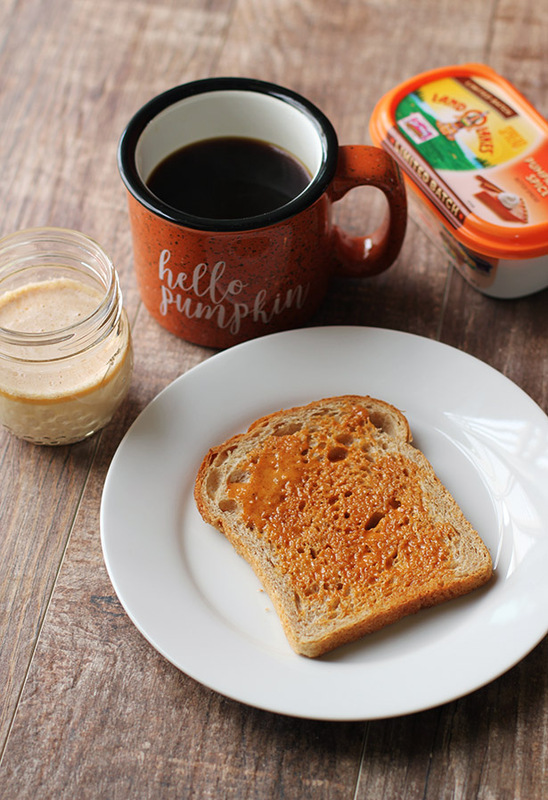 We are loving the Pumpkin Spice Butter (seriously, I had to cut Cate off…she would have eaten a loaf’s-worth of toast just to consume the butter), so I felt like I needed to tell you about it! Plus, I did in fact make the Pumpkin Spice Coffee Creamer and it was delicious. 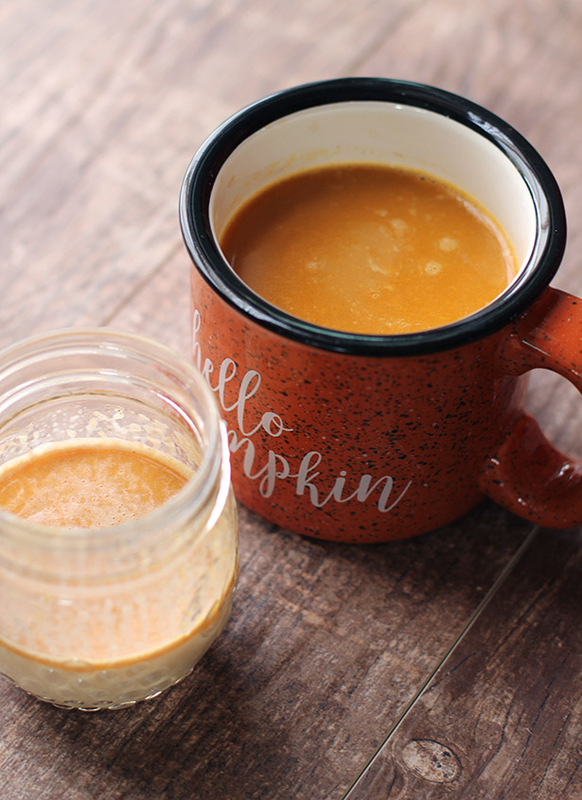 I am now sharing the recipe with you! Combine all ingredients in a bowl. Microwave, stirring occasionally, 30-45 seconds or until butter spread is melted and sugar is dissolved. Store in refrigerator in a container with a tight-fitting lid up to 1 week. Shake well before each use. 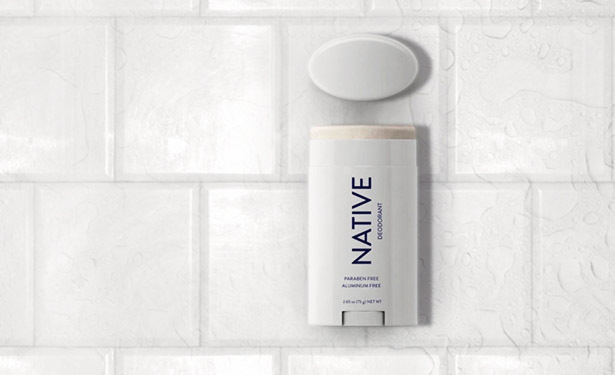 Years ago I wanted to switch to natural deodorant but had a bad experience (read: Hello, Stinky Lady!) and gave up. but the fact I’ve been smearing aluminum on my body every day for over 30 years has always nagged at me. Well, my sister-in-law Cora recently demanded that I try Native deodorant. She was insistent. She pretty much made me buy it. Well, I must admit that I am grateful Cora was so bossy! I LOVE NATIVE. So, so, so, so much. I have the Coconut & Vanilla, Coconut & Shea and Apricot & Peach scents and I love them all. Note: the scents are seasonal, so a few of those flavors aren’t currently available, but there are a bunch of new ones that sound great! Why do I love Native so much? First and foremost, the deodorant actually works. I have less body odor than I did with anti-perspirant and my clothes are picking up less scents, too. Cora (and the website) said that I would need about 2 weeks for my body to adjust and for the deodorant to work well. I started using the deodorant during a heat wave and loved it from Day One. But please, if you try it, give it at least 2 weeks to kick in (in case you are not lucky like I was). Also, if you need to freshen up later in the day, just re-apply and magically things smell better. I really like the scent options they have. The deodorant just plain smells good without being overpowering. For those with baking soda allergy, they also have a sensitive version that does not contain baking soda. I must admit I thought it was a little funny how excited Cora was about her deodorant. I mean, how can someone be that happy about deodorant. But here I am. On the Native bandwagon and happy to be here. I’m in all the way! Thanks, Cora! 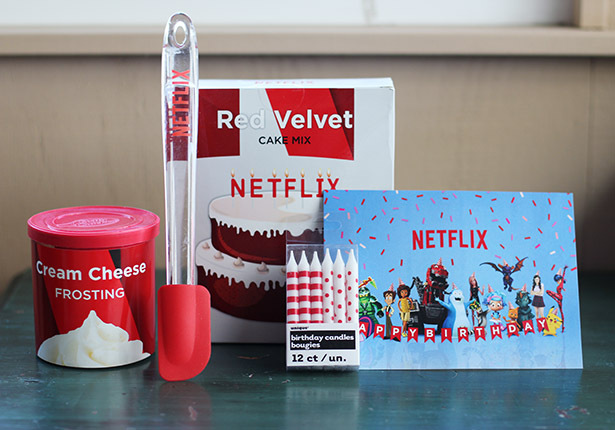 Did you hear about the new birthday messages for kids on Netflix? They launched the birthday messages just in time for Owen’s birthday last month and he loved them. Owen’s birthday party involved taking eight 5- and 6-year-old boys to the LEGO Ninjago movie, followed up with a dinosaur cake at the park. Having the LEGO Ninjago friends and the Dinotrux friends sending birthday wishes his way totally made Owen’s day! To find the messages, simply type “birthday” or “birthdays” into your Netflix search bar and all 15 birthday message video options will appear. Definitely a cute way to kick off your little one’s special day! The car basically drives itself. The radar cruise control works beautifully. I used it ALL THE TIME. For example, when we drove from Cape Cod to New Hampshire, I followed my sister-in-law using cruise control. The system detects the speed of the car in front of you and adjusts accordingly, so Jess was basically doing all the driving. There is also a lane departure alert system, pre-collision and pedestrian detection system, and the car can park itself. Even better gas mileage. I got over 50 miles per gallon the entire trip. For such a small car, there is a ton of storage. The back is roomy, and there is a net you can use to store smaller items. The storage was great for short and long trips alike. 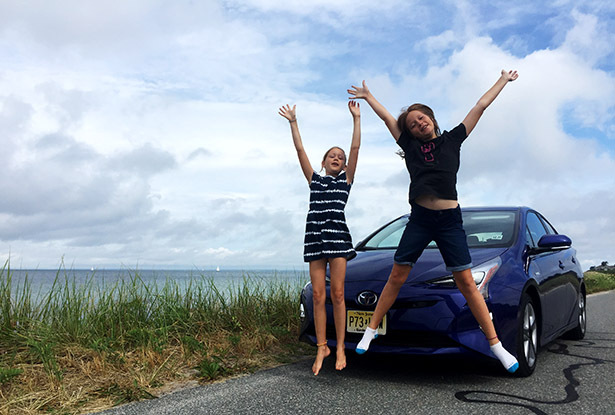 I’ve mentioned this before about Toyota, but I love their remote lock system. It’s just awesome. There was also a spot for doing that fancy cordless phone charging. My phone doesn’t have that capability, but I was sure wishing it did! I also like how the middle console is set up better in the new Prius versus previous models. The navigation system worked better than my Google maps app on my phone. Impressive! And the car told me what the speed limit was at any given time, which is especially handy on those east coast back roads! The one thing I did not love was the SofTex synthetic leather seat material. It is more eco-friendly than other synthetic leather materials and does not use any animal-based material, but if I had to choose I would go with fabric or real leather. I just didn’t love the feel of the seats or how they looked when inevitably sand and other stuff got into the seams. Phew! I think that’s all I have to share for today. As usual, Show & Tell is for the whole class! Feel free to chime in with your own finds and recent loves in the comments! Please note: I have a relationship with Netflix as a member of the Stream Team, which means they don’t pay me a dime but do send me cool fun stuff occasionally. Toyota provided me with the Prius for our trip. Land O Lakes provided me with product. I have no official relationship with Native deodorant.